Casey’s Corner is an old school American base-ball style hot dog restaurant located in Magic Kingdom in Walt Disney World in Florida. It is a very casual counter restaurant and seating is available outside. The menu is simple; They just have hot dogs, fries, cotton candy, and cracker jacks. The only reason I ever come here is for mini corn dog nuggets ($4.49). I have this nostalgic love of corn dogs and I love the fact that Disney sells them in adorable little bite size nuggets. My container was stuffed full. I didn’t count them, but I probably had about ten nuggets. These were very satisfying because I was hungry and it was late at night, but I wish they had been more crisp. I think they were pre-made in the back because they weren’t super hot, but oh well, what can you expect from a little hot dog place? Either way, I was glad I got them and they made for a good snack. 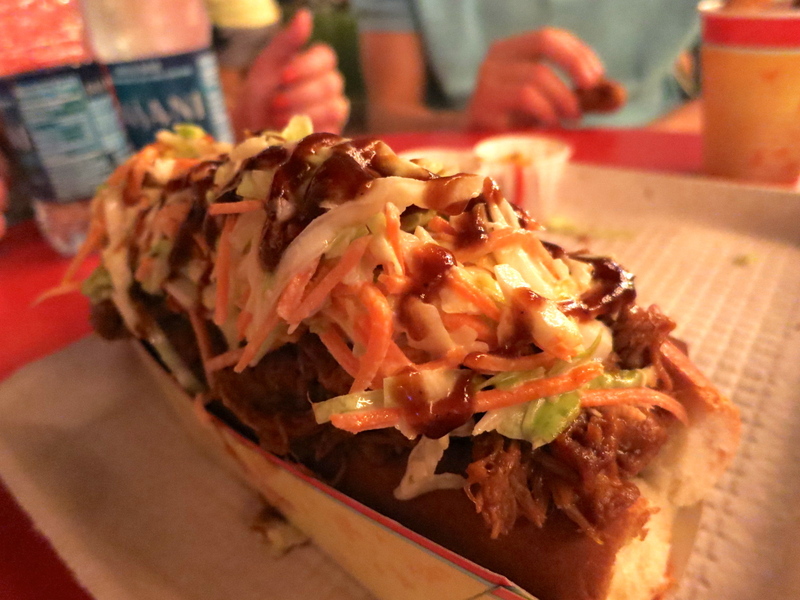 My brother got the barbecue slaw dog ($9.20), which is a hot dog topped with pulled pork, coleslaw, and barbecue sauce. This is the biggest hot dog I’ve ever seen and they really didn’t skimp on the toppings. I had a bite of it and it was very good. The coleslaw was creamy, fresh, and crisp. The pulled pork is what took it to the next level and added an extra savoury flavour to it. It is a bit pricy for a hot dog, but it is enough to fill you up for a meal and it is definitely not your average hot dog. Casey’s Corner is a good option for a greasy late night snack. If you want something healthy, do not come here. If you like a good hot dog then I would recommend trying one of their special ones. They also have a few different topping flavours available. 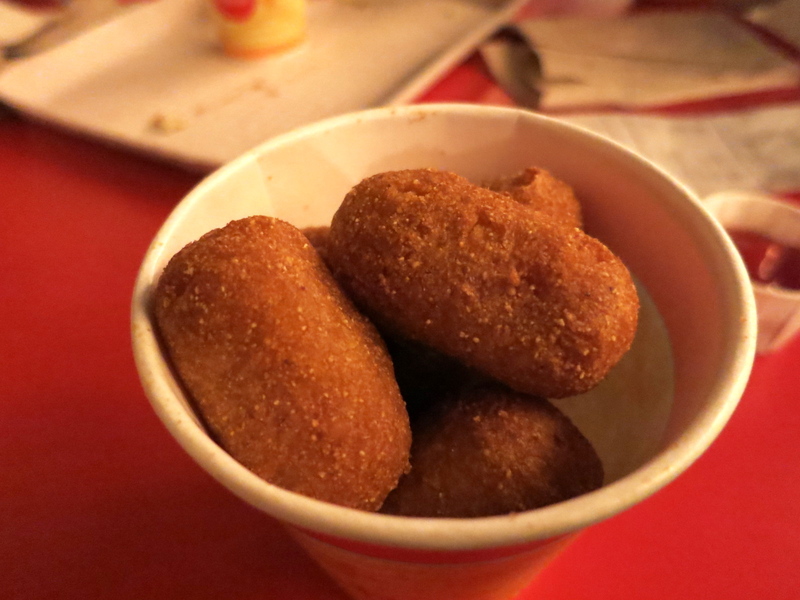 The corn dog nuggets are a good snack, but it’s not worth making a special trip to get them. Yes, for good hot dogs.